So something pretty interesting popped up on the SiSoftware Sandra database recently, a very large APU that has the branding of AMD’s next generation avian roadmap. Codenamed ‘Fenghuang’, this APU houses a very large number of CUs (28 to be exact) with roughly 1792 SPs making it one of the largest APUs we have seen so far. This appears to be the APU for Desktop that we know has been in the pipeline for quite a while now. 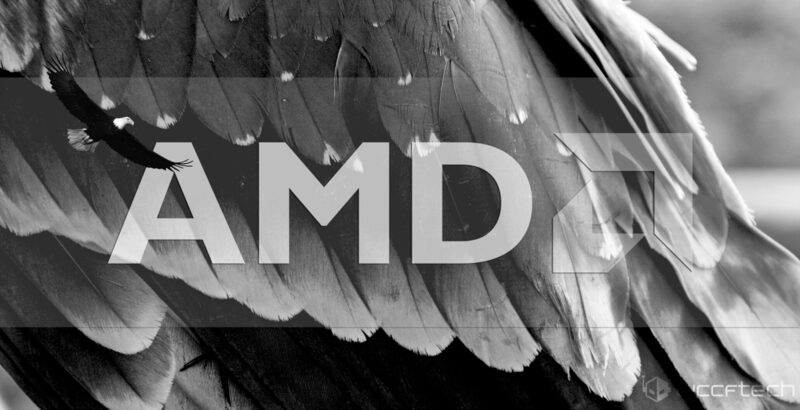 AMD has always chosen very interesting nomenclatures for its products. While other semiconductor companies usually have systematic (and boring) nomenclatures based on an alphanumeric sequence AMD has always opted for naming its pet products after something real. The Avian nomenclature series is no different and while it starts from the 14nm process, it carries on into the 7nm node as well. As we can see, the SP count listed is 1792, which would make it the largest APU to date. The integrated graphics portion gives away the fact that this is an APU, not to mention the fact that the “AMD Fenghuang” platform name can be seen below as well. The core clocks of the CPU side of things are slated to be at around 2.4 GHz, with turbo probably being around 3 GHz. The APU has a 16 kB cache and 2GB of memory (is that HBM?). 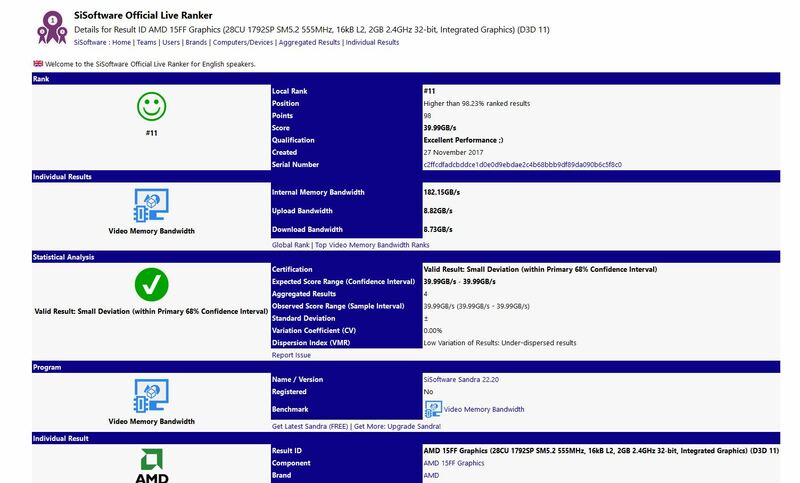 The clock speed of the GPU is currently listed as 555 MHz, so this is almost certainly a pre-launch engineering sample number and one we expect to go much higher to 700 MHz at the very least. This would mean you are looking at a theoretical peak performance of 2.5 TFLOPs. This clock speed might seem a bit on the low side, but keep in mind this is an APU and one that might actually be housing a Zeppelin die too, so the company is playing with a very small thermal envelope here. Now there is a bit of an oddity in this spotting, and that is the memory bus width which is listed as a tiny 32 bit. This is, frankly speaking, not possible which leads us to believe that the tool might be misreading the number due to the unique construction of the APU. It is even possible that the GPU is powered by HBM memory, which would explain the confusion faced by the tool. The memory clocks listed are 2400MHz in the tool.